What Foods Are Good for Thyroid Function? The thyroid gland, located just below the voice box in the front of the neck, is a 2-inch gland with two lobes. The body's metabolism and calcium balance are primarily regulated by the thyroid gland. The T4 and T3 hormones that are secreted by the thyroid stimulate body tissue to produce protein. They also increase the amount of oxygen used by the cells. The calcitonin hormone released in the thyroid regulates calcium levels. The two primary diseases that compromise thyroid function are hypothyroidism, which is an under active thyroid, and hyperthyroidism, an overactive thyroid. The University of Maryland Medical Center reports that most thyroid problems are treated with medication and surgery, although various foods can affect the functioning of the thyroid. Dr. David Williams, a chiropractor in Texas who treats a variety of conditions, says that selenium is a vital component needed by the thyroid to manage calcium absorption. He recommends that patients with thyroid conditions, or those who want to maintain healthy thyroid function, include foods rich in selenium in their daily diet. 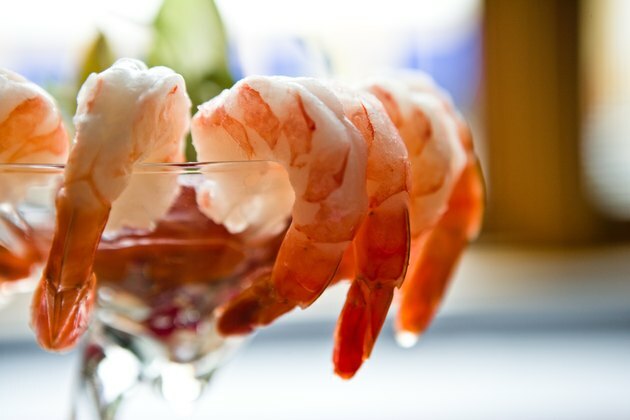 Selenium-rich foods include seafood, shellfish, eggs, beef liver and beef kidneys. Wheat germ, sesame seeds, Brazil nuts, mushrooms, garlic and onions are other good sources of selenium. Thiamine, a mineral found primarily in fortified cereals, milk, enriched whole grains and vegetables, is important to maintain optimum thyroid function, as discovered by Massachusetts Institute of Technology scientists in research reported in the "Journal of Nutrition." Thiamine deficiency was shown to interfere with metabolism and produce high levels of food intake when hormones went unregulated by the thyroid. 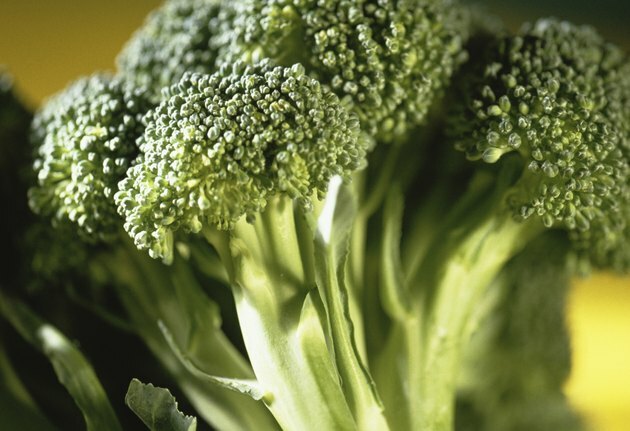 Vegetables that are considered cruciferous can negatively impact an unhealthy thyroid gland, say researchers at the George Mateljan Foundation, a nonprofit research group. The family of vegetables that can affect the thyroid include cauliflower, cabbage, broccoli and Brussels sprouts. Cooking the cruciferous vegetables, however, can reduce the effects of the ingredients that harm the thyroid. People who are taking thyroid medications should avoid foods made of soy because soy can interfere with the proper absorption of the medicine. 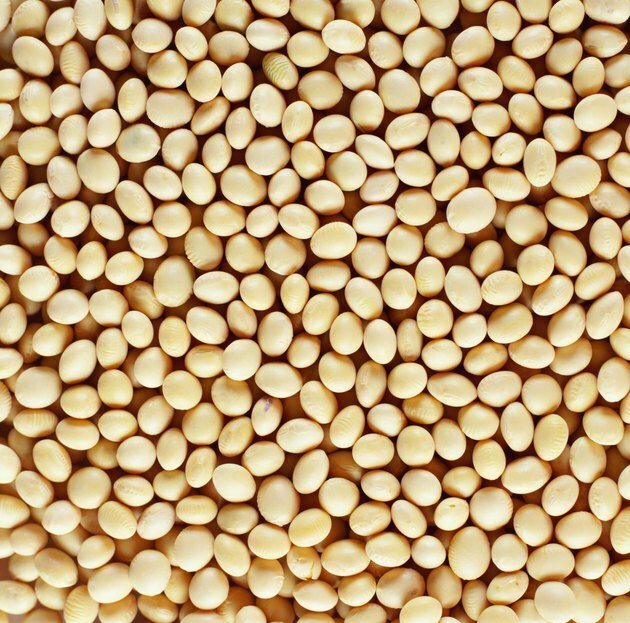 While soy does not have to be avoided completely, patients taking thyroid medicines should wait at least four hours after taking the medicine to eat any soy products. 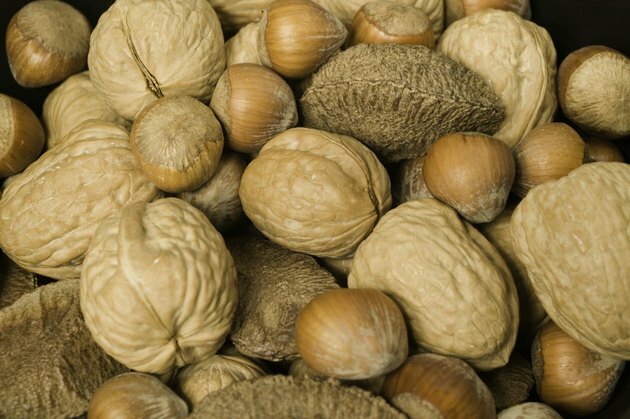 The same guidelines apply to a variety of other foods that can interfere with thyroid medicine absorption including high-fiber foods and walnuts. Goiter is a condition characterized by an enlarged thyroid gland. Foods that contain goitrogens are said to block the absorption of iodine, an essential ingredient in healthy thyroid function. 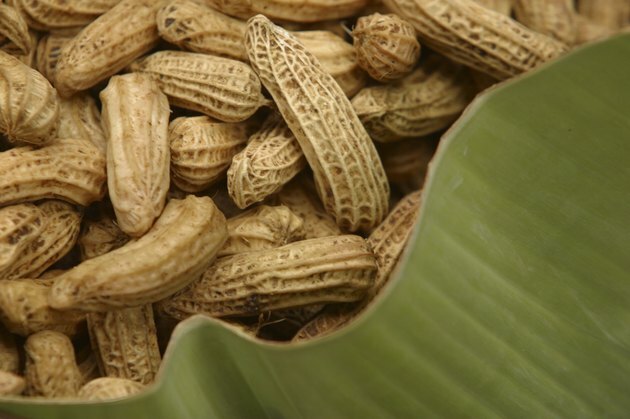 Goitrogens include those vegetables that are in the cruciferous family as well as soybeans, pine nuts and peanuts.